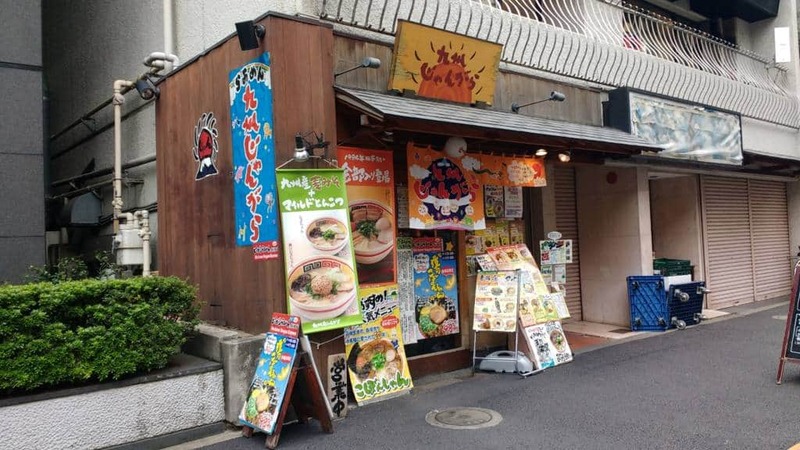 Jangara Ramen is a tiny hole in the wall located one street back from Akasaka Dori, near Yoshiike Supermarket. When you enter Jangara, you order your noodles straight away, pay for your meal and then take a seat. 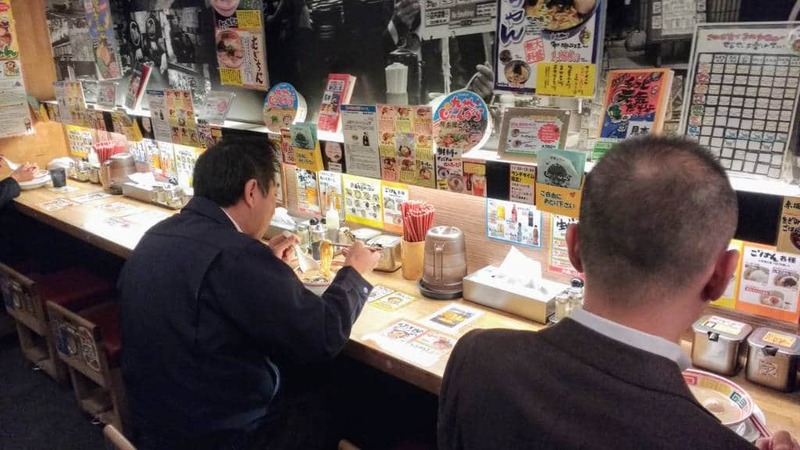 Ramen consumption in Japan is often a solitary experience, so diners are seated at bars facing the walls. 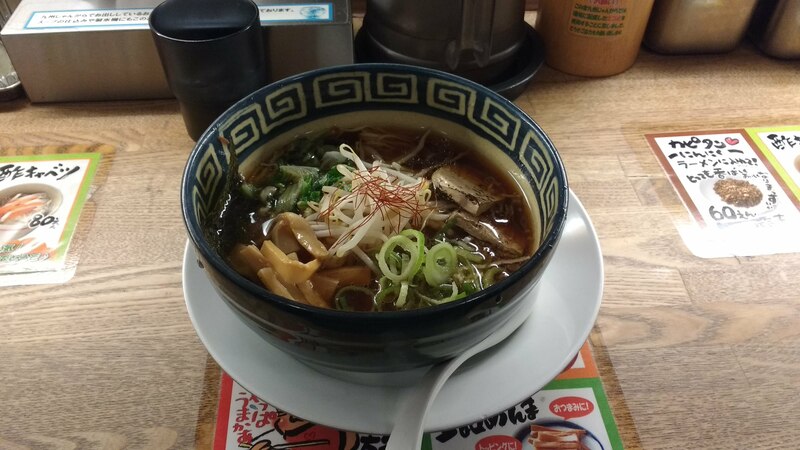 The specialty of Jangara is Kyushu (Hakata) style ramen, which means tonkotsu ramen. Tonkotsu is a broth made from boiling fat covered pork bones for hours. If pork isn’t your thing, they have recently introduced “vegan ramen”. Vegan ramen seems to be aimed squarely at the tourist market. It’s the only ramen variety that has a detailed English description. Janagara’s vegan ramen contains thin noodles topped with menma, nori (seaweed), sprouts, negi (spring onions) and a block of tofu meat. The soup is soy sauce based but not as sweet as you might expect. Overall, it’s a passable bowl of ramen, but it is somewhat lacking in umami flavor. Prices range from ¥730 up to ¥1,180 – on the high side for a ramen chain. Extra noodles are ¥150.